Could computing is a technology that has changed the mode of business with an innovation in technology. The trend of mobility or remote access is due to business cloud computing that facilitates both employees as well as management with equal share. Your data is more secure and reliable in today’s world due to cloud computing because it ensures data’s security from unauthorized access. There is no doubt that cloud computing has modified the business approach but it also has some disadvantages or cons. 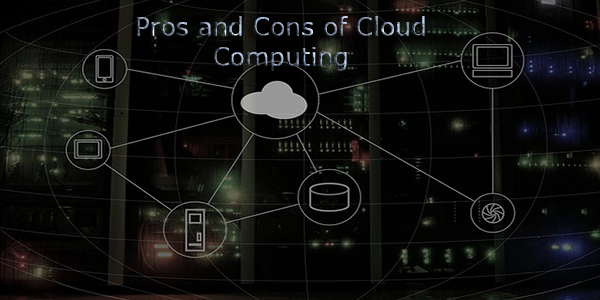 Some pros and cons of cloud computing are discussed below in detail. Cloud computing has improved the disaster recovery with automatic data backup and recovery. It has increased the opportunities for collaboration among the personnel. It is a cost saving solution for business that could be easily managed as well as maintained. It is a reliable and consistent solution with 24/7 availability. Cloud service provider is facilitating different clients, therefore, some down time could be faced by the client. There is no doubt that cloud computing is an inexpensive solution but its access is dependent on internet connectivity for both service provider as well as the client. Cloud computing is an assurance that you’re sharing your important business data with your cloud service provider that could be a risk. Like other technologies cloud also have its own pros as well as cons and a business man should concentrate on both aspects before making the transition.